USB TO SPDIF Converter Coaxial/Optical AC3/DTS/PCM. 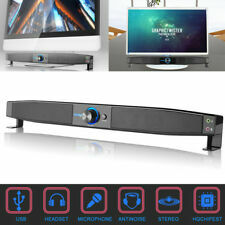 Optical fiber / coaxial output not only supports PCM, more support for Dolby AC3, DTS multi-channel encoding format. 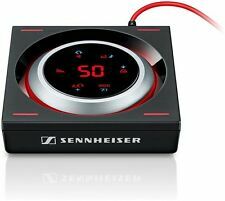 From an excellent value for money this interface USB-S / PDIF also enables you to channel AC3 and DTS ES signals (to another multi-channel decoder). 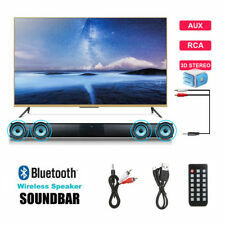 USB-powered Soundbar is perfectly suitable for computers without worries about out of battery. Two 3.5mm audio ports, allowing you connect to earphones and microphone. [USB & AUX Ports]. Its low-profile design allows you to tuck the speaker bar directly under your monitor screen. This is finished nos reclock module for SAA7220 - TDA1541A players. You need just to desolder SAA7220 and to install this board on its place. This board will make player nos and will reclock signal. (manual selection switching). 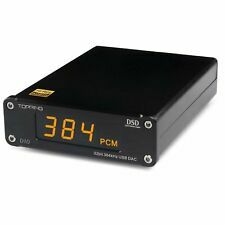 New generic 2 Ports 3.5mm STEREO Manual Sharing Switch Box. 3.5mm Stereo Manual Switch. 2 Ports 3.5mm STEREO Switch Box. 2 manual switch buttons. High quality rotary switch. Quantity: about 60pcs. 60pcs x Tape Machine Belt. Belt Shape: Square. Generic Tape Drives belt. Square cross-section: about 1mm. Widely used in Recorders, CD-ROM video machines, Walkman, DVD drive. Color: Black. They are based on Western Electric cable 16GA which is too famous for the musicality. USB to SPDIF Converter Coaxial/Optica. Optical fiber / coaxial output not only supports PCM, more support for Dolby AC3, DTS multi-channel encoding format. 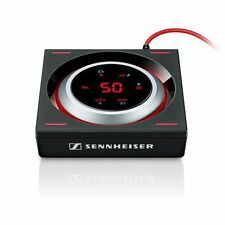 From an excellent value for money this interface USB-S / PDIF also enables you to channel AC3 and DTS ES signals (to another multi-channel decoder). The maximum support 32 Bit 384K Sampling rate！. for Raspberry Pi. For 3D Printer. Amplifier Board. - Can setting two FLT filter mode (NOM normal mode or LOW Delay mode)-Need switch by hand! Step up / Down Power Module. Tiny model, but good sound quality. using new ultrasonic speaker. 24pcs 10mm,ultrasonic transducers(color may be black). You can not use microphone directly as loud speaker. This kit does not including microphone amp. Low distortion, Stereo Amplifier. 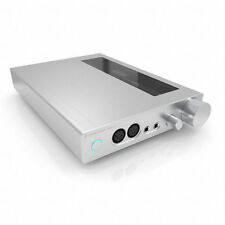 1 x Stereo HiFi Amplifier (without 12V power adapter). DC Input Power: 12V (2-5)A (5.5 2.1mm plug). RCA Input for MP3. Input Sensitivity: 200mv. Input Impedance: 47K. Model: NE5532. Due to the difference between different monitors, the picture may not reflect the actual color of the item. Quantity: 1 Set. Size: 100x43.5mm. Maximum power: 20W. Bluetooth: 5.0. 1 Module. Woofer: Choose 3 - 4 Ω 10W-15W Woofer. Never use 6 Ω or 8 Ω woofer. Reply within 24hours. Rate (item arrived). CS8416 CS4398 24BIT/192KHZ Optical Fiber / Coaxial. 1pcs x CS4398 CS8416 Optical Fiber / Coaxial Audio Decode Board. Decode Module DAC Decoder. Net Weight: 40g. Board Size: 82mm x 50mm x 22mm. And hope to see you soon. 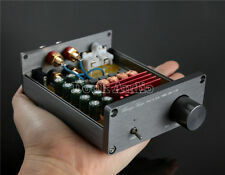 1pcs xc1 (PASS B1 BUFFER) CLONE preamp bare PCB. Belt Shape: Square. Widely used in Recorders, CD-ROM video machines, Walkman, DVD drive. Square cross-section: approx. Detail Image. Color: Black. Canada, United Kingdom, Austrilia, France, Germany, Spain, Ireland, Italy, Others. Therefore, to use LM4610 constitute preamplifier circuit is an ideal choice in the middle and low audio circuit. Two switching functions: on the left for the 3D switch, the right loudness switch. Adjust W5, surround sound intensity can be changed. Generic tape drives belt. Belt Shape: Square. Due to light and screen difference, the item's color may be slightly different from the pictures. Widely used in Recorders, CD-ROM video machines, Walkman, DVD drive. Place this protractor on your turntable platter with hole over spindle. Tighten mounting, and recheck as above. Remove Protractor. Relax and enjoy! Link to turntable setup guide with instructions included, printed directly on the protractor. 1 x LCD board. - Encoder with input switch, can switch input signal (Input DVD CD DRE). - Main board: 80-70mm. - 1 x Amplifier Board. - Key M is mute. 5 : Support for IIS-32bit 384K / DSD64 128 256. Because the ES9018 is independent of the MCK clock 100M, so only you need to enter the DATA BCK LRCK sufficient very convenient. Polished old CD DVD decoder works well. (DSD:DSD64 (1 bit 2.28224 Mhz)-DSD512 (22.5792 MHz). The Latest GenerationSMSL X-USB II XMOS U208 USB Digital Interface. 2) Set "File -> Preferences -> Output -> ASIO -> foo_dsd_asio -> USB DAC ASIO ->DoP Maker 0x05/0xFA ”.